"Something formed in the mind"
An expression of a thought, or idea held in the consciousness. "A general idea derived or inferred from specific experiences, instances, or occurrences." American Heritage College Dictionary, (2002), p. 296. The frequent reference to a particular, or related concepts, may indicate the themes, or thematic coherence of an author's, artists, or musician's expression. In the definitions above there is a clear repetition of the relation in Latin of a mental product and the birth of a child. The relation is indistinguishable when the word conception, for example, is taken out of context. Conceptualize, or conceptualization is the process by which symbolic representations, ideas, or messages are created and given meaning by an imaginative and a deliberative process of thinking. Vladimir Ivanovich Vernadsky, Biosfera, 1926.
p. 3. Wilson, The Future of Life, 2002. Information is used to bring to light, expose, or explain a significant concept, usually done in a written piece of work called an essay. Concepts when put together in a general way can be thought of as a theme. Essay -- a focused piece of written expression, shorter than a story. Introduction, A brief description of what you will do and why. Who, What, When Where, How, and maybe why this is a subject with a coherent theme. Every formal essay should have a thesis that encompasses what the writing is about. Here is where you inform readers about recent evidence, the historic development of the ideas and concepts you are interested in and the themes that support your thesis. Definitions: What is it, who is it and how did it happen? Background detail needed. Dates: i.e. 1926 to 1960: were the critical 34 years in the development of biosphere, ecosystem, & genetics that lead to a new conception of the human place in nature. Data: Explain related concepts of nature, radiation, ecology and biological thought. Argument, what is the importance of what you are writing? How does your research and writing show that previous information is either supported by, slightly revised or totally altered due to new evidence? What are the distinguishing features of your discoveries? Conclusion, Summarize the who, what, when, where, or how of the piece. Refer to the main themes and how these concepts support or qualify your thesis. 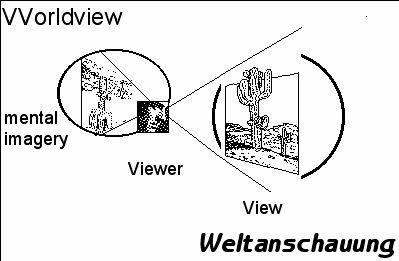 Concept is defined as a construction of the mind as opposed to perception from percept, which is the object of perception or the mental impression of the appearances, or some facets of the thing perceived by our senses. Capere or "cept" is in each of the words: accept, concept, precept, perception and suggests that taking meant to in speakers and their descendents a sensory as well as a manual grasping of things. This dialectic sent the medieval thinkers into unending debate between what actually existed: A) the class of things or B) the specific thing a concept (word or phrase) represented. argued by Sarte and Camus that one concept, our experience of existence preceded the other the idea of our being aware of our essence, or essential differences. Plato argued in an opposite way that essences are all that persist because we fool ourselves in believing false impressions of reality. not as distinct as you might believe, but one is derived from the other! Sir Francis Bacon suggested that humans were flawed, we perceive the world with a bias, he though because we are submissive to four follies or idols. Investigate and monitor linguistic heritage and its changes to facilitate understanding of the world. Develop and evaluate concepts, as they are used in materials and methods. Promote inquiry into the psychological and cognitive science of thought. retain key ideas as related to your existing knowledge. Recognize patterns of ideas peculiar to different disciplines. Some knowledge of the relevant aspects of history. Ability to formulate and carry out research into the origins of words. Writing papers is a means of assessing how well you understand, use and link concepts to one another. Outlines assist some writers in limiting what they will discuss in relation to a thesis or thematic concept; others employ concept maps or an arranging of concepts with respect to their logical relationship in a diagram. Verbal presentations are a means to demonstrate how well one may "think on their feet," or express in continuous, rhythmic and precise means the content of their thoughtful concepts. A dialogue is necessary for people to learn from one another. Concepts that cannot be transmitted, or articulated to others are by definition (inarticulate) "autistic concepts."